(Underground Health Reporter) Did You Know…that dozens of everyday “health” foods containing brain-damaging poisons, which seriously threaten your health—and such foods are not regulated by the FDA or other government agencies? “Your food can be a killer—and I don’t mean just the junk food”, says Dr. David Blyweiss. That’s because processed foods—even so-called healthy foods—contain additives known as “excitotoxins” that cause serious neurodegenerative damage like Parkinson’s disease…Alzheimer’s…dementia…Lou Gehrig’s…multiple sclerosis…lupus…and more. 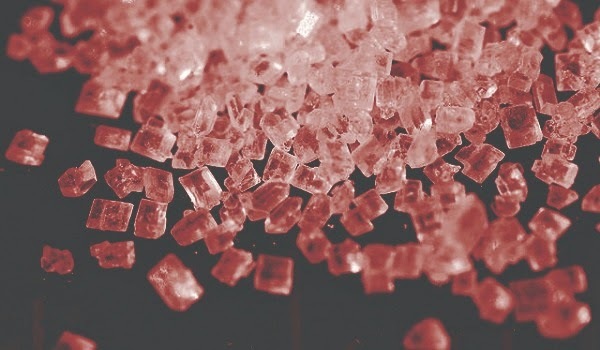 “The main culprits are the additives monosodium glutamate (MSG) and aspartate (a component of NutraSweet) that lace our foods to enhance their taste,” says Dr. Blyweiss. Excitotoxins have been used for decades to pump up the flavor of processed foods like soups, snacks, sauces, gravies, and also many low-fat and vegetarian “health” foods. Excitotoxins also come in the form of Sucralose (Splenda), cysteine, hydrolyzed protein, and aspartic acid. Plus, MSG is called by at least 30 different names on food labels, including—unbelievably—the word “spices,” an alias accepted by the FDA. These chemicals are perfectly legal…but frighteningly dangerous according to a growing number of studies suggesting their damaging effects on the brain. Right after World War II, researchers isolated monosodium glutamate from the Japanese sea weed kombu. This involved stripping away the healthy components, including enzymes and minerals. Today, MSG shows up in virtually all prepared foods, including restaurant food, even when their menus proclaim, “We add no MSG.” That’s because they don’t have to add it; it’s already in the food they receive from suppliers. As for aspartame, that comes from the amino acid aspartate. We take it in through diet sodas, sugarless candy and desserts, and from those little pink and blue sweetener packets. At the base of our brains just above the brainstem is the hypothalamus, a vulnerable region not protected by the blood-brain barrier that otherwise keeps our brain safe from harmful substances. The hypothalamus controls certain metabolism and activities of the autonomic nervous system, along with body temperature…hunger…thirst…fatigue…sleep…and the release of pituitary hormones. Anything that affects the hypothalamus has the potential to do serious harm—and excitotoxins do just that by causing inflammation and damage in this critical region. According to the latest research, excitotoxins over-stimulate neuron receptors, resulting in cell death. That means regularly consuming excitotoxins like MSG and aspartame can eventually kill off enough brain cells to cause permanent damage. These food additives show up in virtually all processed foods. MSG is added to potato chips…flavored crackers…canned soups…dry soup mixes…canned meats…diet foods…soy sauces…salad dressings…cured meats…and much more. Aspartate appears in diet foods as aspartame or NutraSweet. Despite the tireless efforts of many, the FDA has staunchly resisted taking action against aspartame or MSG, or even requiring clearer food labeling for excitotoxins. At one point, baby food companies took MSG out of their jars, but not anymore. Dr. William Douglass Campbell cited a recent study that showed that 2 servings of diet soda increased the risk of premature birth by 38%, while 4 servings a day boosted it by 78%. Another study conducted in Italy found a link between aspartame and cancer in lab rats at doses equivalent to what humans regularly digest. Nonetheless, the FDA continues to turn a blind eye and a deaf ear to the health threats posed by excitotoxins. Eating mostly fresh, whole foods is the best way to avoid excitotoxins. When you do buy processed food, read labels with care. No matter how careful you are, you will ingest excitotoxins as long as you eat in restaurants, at the homes of friends, etc. For this reason you may want to take nutritional precautions against the damage these chemicals cause. Vitamins C and E—These vitamins may neutralize the impact of excitotoxins in the brain. Choose at least 1,000 mg. of vitamin C daily. Other Antioxidant Vitamins—Beta carotene, Vitamin K, and Vitamin D are valuable support. Minerals—Magnesium, zinc, and selenium also shield cells by protecting glutamate receptors from excessive excitotoxin absorption. Vinpocetine—This natural antioxidant from the seeds of the periwinkle plant might safeguard brain cells from the damage induced by excitotoxins like aspartame. Vinpocetine also acts as a vasodilator, which means it increases circulation and helps deliver more oxygen to the cells. "Common names for MSG" is a terribly misleading choice of phrasing. How about," Ingredient names that MAY be hiding MSG content". The sweeping indictment of all those ingredient terms implied by your original phrasing is inappropriate.